Edition Farm Goes Global Again! Edition Farm goes global in Barbados with a win by Andale Julia (Here Comes Ben x Dita by Suave) on August 1, 2017 in the Massy United Insurance Derby Race Day. 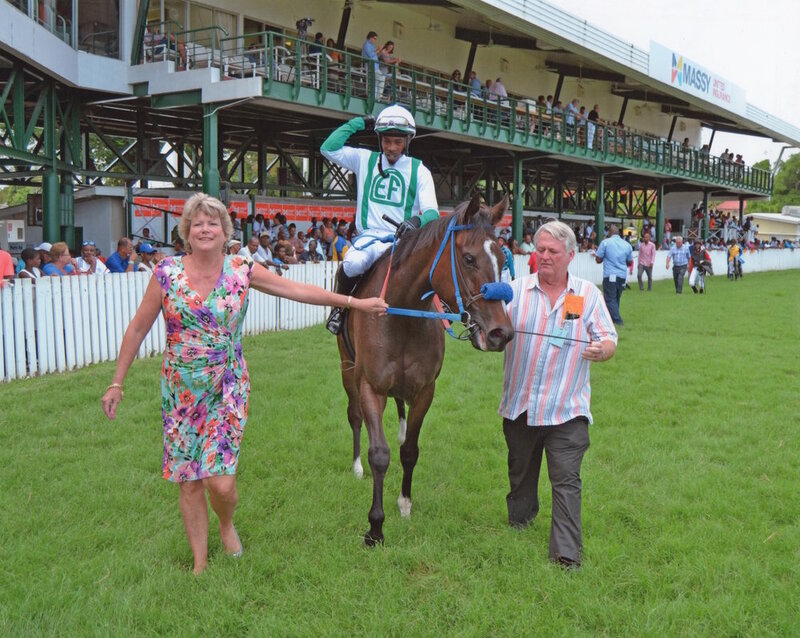 When a horse wins at the The Garrison Savannah racetrack in Barbados they are lead by the owner or trainer in front of the entire grand stand for a round of applause before entering the winners circle. We’re looking forward to seeing how Andale Julia progresses as one of our overseas racehorses and wishing her many more rounds of applause! Andale Julia (left) and Awesome Swimmer (right) are enjoying life on the island of Barbados! Here they are shiny and happy in training with their exercise riders who also look like they're enjoying the ride!